on the second floor of the library. 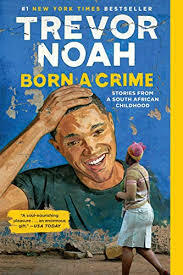 Born in South Africa in the mid ’80s, Trevor Noah’s very existence as a biracial child was illegal. He was born to a white Swiss father and a black Xhosa mother at a time when such a union was punishable by five years in prison. 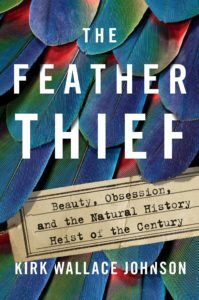 In this coming of age story during the twilight of apartheid and the tumultuous days of freedom that followed, the current host of The Daily Show provides something deeper than traditional memoirists: powerfully funny observations about how farcical political and social systems play out in our lives. This autobiography is the story of a mischievous young boy who grows into a restless young man as he struggles to find himself in a world where he was never supposed to exist. “Last night I dreamt I went to Manderley again.” So the second Mrs. Maxim de Winter remembered the chilling events that led her down the turning drive to the isolated stone manse on the windswept Cornish coast. 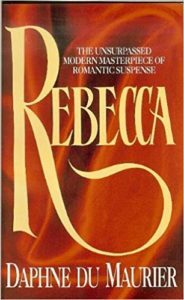 With a husband she barely knew, the young bride arrived at this immense estate, only to be drawn into the life of the first Mrs. de Winter, the beautiful Rebecca, dead but never forgotten. Since its publication in 1938, this suspenseful novel by Daphne Du Maurier has been adapted for radio, stage and screen, and has never been out of print. Looking ahead: Monday, June 17, 6:00 p.m. 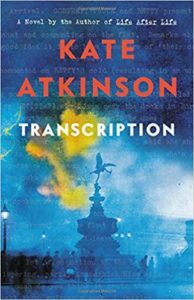 In her newest novel Atkinson (author of “Life after Life” and “A God in Ruins”) returns to the theme of London during the second world war, but follows her protagonist, a young woman named Juliet who was recruited by MI-5, through the post-war years. It seems that once you are a spy, your life may never again be your own. What was Juliet’s true involvement during the war—and after? These are the questions posed in this beautifully crafted and intriguing book.